This is the story of collaboration – BID Inc. Do Good Work. You may not know but PEI has a well established Syrian community. We’ve been working locally on Syrian immigration files for almost a year. Syrian families living on Prince Edward Island have been trying to find ways, all unsuccessful, to bring their families out of harms way. One of my friend’s sister was shot just trying to leave her home. People in Syria are scared for their lives. Their families here in Canada feel helpless. Personally, as a community member of the pan-orthodox church in Charlottetown, I worked within the Archdiocese and existing family members to develop a plan for refugee sponsorship. I also lobbied governments on their behalf at the federal and provincial levels. It was not looking promising as no one seemed capable of offering more than emotional support. Then I proposed something that should be considered more often.. why not seek the assistance of existing Sponsorship Agreement Holders to help sponsor the refugees. Why should we slug it alone, or given our own limited resources, attempt to apply for an SAH that would require more time and resources than our small community could afford? I reached out to Mr. Doran, an immigration expert and volunteer with the Roman Catholic Diocese of Charlottetown. Our community’s priest, Fr. Stephen Allen and the RC Bishop, Bishop Grecco, along with Dan, Gerry (another volunteer) and myself met to discuss the situation and what could be done as a collective group. The results have been very encouraging to date. Through our collaboration with the Roman Catholic Diocese of Charlottetown and the Atlantic Baptist Ministries, we have begun the process of sponsoring two families. These two families have already made it across the border into Lebanon and Jordan with nothing more than their clothing and children, and have been successfully declared United Nations refugees. They have family here in Prince Edward Island who are ready to house and support them. We couldn’t have gotten this far alone. More importantly… we wouldn’t have known the possibilities if we didn’t ask. 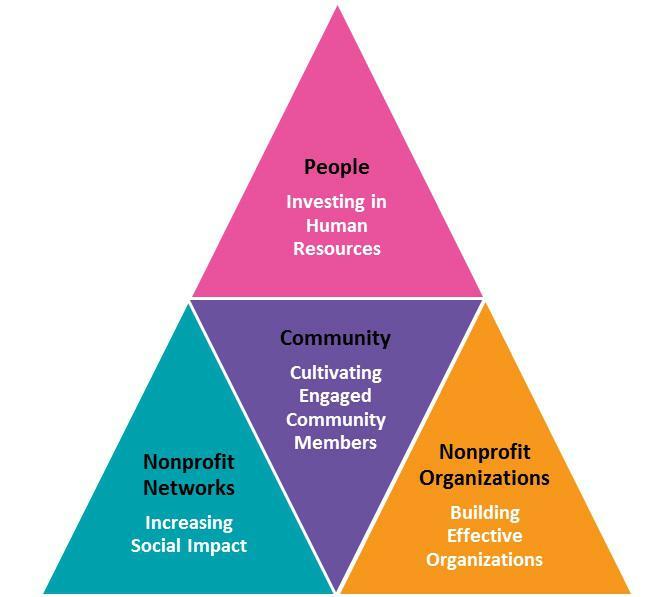 Lately we hear more and more about non-profits and community-based organizations struggling, even competing, for members time and resources within our very small communities in PEI. I believe we have a real opportunity, especially because we are small, to share our resources and time with each other. In fact, we owe it to one another and to the communities we serve. Non-profits, the third sector as it’s called in other parts of the world, have begun the process of collaboration. We see it in community sector councils across Canada. Here in PEI, a Community Sector Network (CSN) is forming, trying to capitalize on shared resources and shared goals. As a fledgling network, the CSN also hopes to be a central voice for the non-profits. A way to collectively voice concerns, raise awareness and share data. A challenge and an opportunity at the same time. My hope is that more non-profits will see the benefits of banding together to support the causes that matter to them and make a real impact on not just PEI, but also the world around us.